I’m sitting next to two Canadians—Marty and Susan—from Montreal—who’ve seen Lightfoot back home where he fills places like the ‘’Staples Center” that dwarf the Saban Theatre of Beverly Hills Temple of the Performing Arts—which is plenty big enough for me—“Where Music Meets the Soul”. Luanne Nast gave me great seats in the Orchestra Section. His Gordon Lightfoot: 80 Years Strong Tour is the benchmark of folk music this year—still the standard of what Gord’s Gold can be, in a world of changing music fashion, where everyone from Jean Redpath (who just wanted to be considerd a singer) to Pete Seeger - a river singer- finds an excuse not to call themselves a folk singer, who proudly wears the banner without apology. He knows who he is, and loves what he does. He is still the thinnest man you will ever see outside of Auschwitz—a ghost of the man you may remember from the Early Morning Rain to the Sundown days. 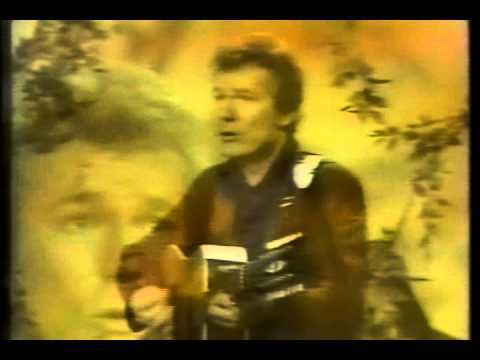 My favorite song is now Ribbon of Darkness from Lightfoot’s eponymous first album noteworthy because it was a # 1 Country hit for Marty Robbins—before it was released by Gordon Lightfoot. 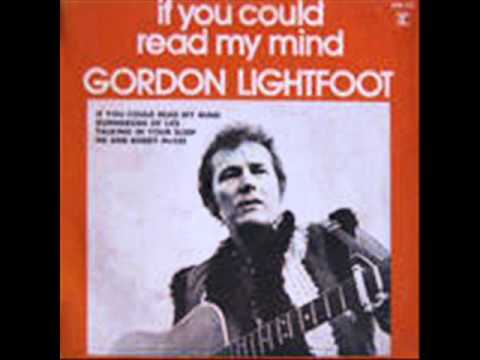 It’s the song that put Lightfoot on the map. Ribbon of Darkness from the album Lightfoot! The images haunt me from Lightfoot’s song like Robert Frost's poem Acquainted with the Night—both are unremitting in their portraits of it. And both begin and end with the same line. But beyond these portraits from his first album are two more songs that stand out—The First Time Ever I Saw Your Face by Ewan MacColl (written for Peggy Seeger) and Changes by Phil Ochs, which show his fealty to the folk tradition he never abandoned. They were there at the beginning, and have remained ever since. But all is not folkadelic on stage with Lightfoot these days—there is a light show to enhance the proceedings as well—with many variations on the themes of light and darkness to make the design appealing to the eye as well as the ear. It’s a splashy brouhaha of color and sound that never gets dull, and yet never intrudes on your mind’s ability to focus on the lyrics at hand—from the Wreck of the Edmund Fitzgerald that goes back to November 10, 1975, when he memorialized the 29 victims of the ship’s fatal disaster—to the aftermath when he kept in touch with the survivors through the years—their on-going link to the past—a master at work. The most charming of his fans stood up throughout his concert and made you realize how much he is treasured—a real gem who spent almost as much time on his feet as Lightfoot did. He was a joy to behold. He introduced his wife Kim who he met ten years ago in Florida, and then noticed at a concert in Canada, and started to realize was becoming his companion before he did. She was there with her grandmother and two other friends as well—on the tour together. When you’re 80 years old who wants to travel alone? He let her know how much she inspired him. And then just a few tears and years after that he thought it might all be over for good, when his aorta burst in his abdomen, and he was fighting for his life for real. Twenty-eight months after that, with more than two years of having to relearn to play guitar and sing all over again, you’ll pardon me if I don’t take too seriously his 80 Years Strong Tour. He’s been here before—more than once. The most popular song of the night was I If You Could Read My Mind—with a standing ovation from the sold out crowd. With no fanfare, just the signature six notes that tell you all you needed to hear, and you are in medias res. The entire audience was the chorus—and sang along—as if for the first time. It made you realize what a great song it is—played on his Martin D-28—with his finger-style accompaniment that put Lightfoot’s brilliance on the instrument in the same league with his four band mates bassist Rick Haynes, drummer Barry Haynes, keyboardist Mike Heffernan and lead guitarist Carter Lancaster. You will also notice that Lightfoot doesn’t move his hand from the first position—but the first position has changed somewhat through the years. It used to be Bb/Eb; now it has settled comfortably into D, a half step down. That’s so he doesn’t have to keep moving a capo up and down the neck, which he doesn’t mind explaining. He likes to keep his hand on the basic chords so he doesn’t have to retune the instrument in the middle of the set. His precision of intonation is such that it would be noticeable even with a half step either way. Better to find the happy medium and let it be. I notice that he only makes one exception to this rule—for the final song—Early Morning Rain. For that he returns to the original key—Bb—which he accompanies on his vintage 12-string Gibson. In the early mornin’ rain. But then he saves the best for last: the story of who recorded it, including Judy Collins, Ian and Silvia, Peter, Paul and Mary, and Bob Dylan—folk luminaries all, and none of whom he bothers to mention. Because Elvis did—and that’s just the beginning. It turns out that Elvis wants to meet him—in Buffalo, so of course Mr. Lightfoot is on his way to meet the King—after a concert in 1972, with 14.000 other fans. By the time he gets there—no surprise—Lightfoot is just a minute too late. Elvis has left the building. The second whimsical smile on his face, though, is worth the price of admission.